Best Ways to Make Thousands Buying this Film Step by Step! You know you are doing something right when 500 students give a standing ovation for a film. Overall, the best film I’ve ever seen! Fantastic! … a cinematic masterpiece! Don’t blink while watching this film. You don’t want to miss a thing! After watching this film, I feel like I can make a difference in the world. So, what’s the buzz about? Children of the Civil Rights documentary film, of course! 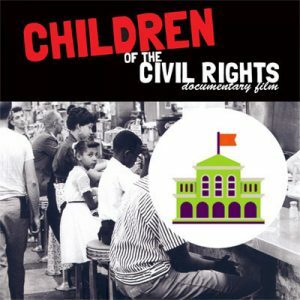 Children of the Civil Rights documentary film speaks directly to students because it is told by people who were also students when got involved the Civil Rights Movement. No one know that a group of Oklahoma City kids were heroes, not even the kids themselves. Children of the Civil Rights shares their six year odyssey to freedom. We offer a special price through Black History Month for schools, libraries and indie theaters, this includes unlimited licensing for public performances. Today, I am going to share my secrets for how to make thousands by buying this film step by step. 1. Create a budget for this event. Figure out staff time, marketing materials and any other costs you may incur (such as wireless microphones, projector, screen and a speaker system if the space is large). 2. Tell them of how you want to show Children of the Civil Rights documentary film and follow it up with a panel discussion of local people who took part in the Civil Rights Movement. 3. Ask them if they can help you find the people in your community who were involved and if they have contact information for those people (or if he/she can help you to make the initial contact to reach those people). 4. Call the people who were involved with the Civil Rights Movement and tell them that the minister gave you their name. Share with them that you want to meet with them to learn more about their experiences during the Civil Rights Movement. Ask them if they have time to meet you for a cup of coffee and let them know that the coffee will be on you (some have tight, tight budgets). NOTE: By meeting with them in person, you again get a more in-depth understanding of their story and if they are good at communicating their story. 5. Meet with them. Talk to them. Ask them questions, then listen. At the end of the meeting thank them for their time. NOTE: You may want to wait to tell them about the program you are planning until after meeting with your full list of people; you may only choose 3 or 4 to be a part of the panel discussion so you don’t want to promise to include them then change your mind and not include them. Remember, this first meeting is just about getting to know them, hearing their story and seeing if they are good communictors. … Sometime, however, you know right away that you want that person to be on your panel. In that case, feel free to share your plans with them then and there. 1. Create a short target list of 10 donors and businesses who you think would be interested in sponsoring the event. 2. Meet with them face to face (again, you are building your friends/allies/audience list). 4. Do your best to secure enough sponsorships to make this effort worth your while. 1. Contact the people who participated in the Civil Rights Movement that you think might will make great panelists. 2. 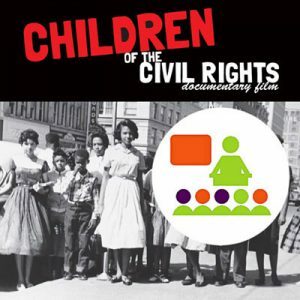 Tell them how you want to show the documentary film Children of the Civil Rights and that you want to followed up the film with a panel discussion where the audience can ask them about their own personal experiences in in the Civil Right Movement. 3. Tell them that you want them to be a part of the panel. 1. Create a list of community organizations who you think might be interested in this program. 4. At the meeting, ask them to be involved by inviting their members to attend this program. … In return, you will include their organization’s logo at the bottom of the posters and you will also announce their organization’s name during introduction of the film at the night of the event. (This will increase your reach ten-fold using very little money). Get a Moderator! A moderator will make sure that questions and answers flow nicely. You need someone that can graciously cut off either an audience participant (or panelist) that rambles on too long and redirect questions to other panelists when one panelist tries to answer all the questions first or too often. Finally, Be sure to invite your local social studies and history teachers. Give them a quick call, get their email address and email them the information. Sometimes they will invite their students too. Show the film and follow it up with the Q&A panel discussion. I have presented this program at libraries, universities, high schools, junior high schools, independent theaters and at community organizations. In my experience, this program is a great community event. The people who attend, love it. PS: STILL WANT TO MAKE THOUSANDS MORE? Now that you have seen how the program with film screenings and panel discussion works … if you feel comfortable with your panelists, you can now look at working with your local schools to bring students and panelists together at your space. NOTE: This takes 10 to 12 months of planning. The first year, all of this effort seems like a lot of work. But remember … once your first year is funded … it is so much easier to ask the same foundations and business supporters for funding the second (and third and fourth) year because … each year, there is a new group of students coming through who will benefit tremendously from this experience. Find out which grade level teaches the Civil Rights Movement era in their curriculum in your local schools and if it’s taught in Social Studies or History class. You can plan to do this program in February during Black History Month or during the month that the students are learning about the Civil Rights Movement in their class. Contact the region’s Social Studies/History Director(s). Ask them for a face to face meeting. During the meeting, discuss the idea of bringing the students to your facility for a screening of Children of the Civil Rights. Tell them that you want to follow the screening with a panel of local people who were involved in the Civil Rights Movement. The students can have a discussion with local panelists (your hand picked panelist). You can share the experience that took place during that first screening I described above. NOTE: The regional Social Studies/History Director(s) may suggest doing this program at his/her school auditorium to save money. While you can do this, in my experience, the students feel more comfortable because they know that space and you end up with more issues: more distractions, more cutting up with each other, less respect for the panelists, etc. When the students experience this program off-campus, they are far more focused and markedly much more engaged. It’s a world of difference. So … go find the extra money to bring them to your space. It is worth it! Work with the school’s regional Social Studies/History Director(s) to plan a screening followed by panel discussion with some of the local Civil Rights Movement participants you used for your first screening. Get their interest in the project first. Once they express interest, find out how many schools and students are in your targeted grade level. Give yourself and them an assignment in the meantime to figure out a budget. Then set up a time for the next meeting. You will figure out what it costs on your end to do this program or series of programs and they figure out what it cost on their end to do a field trip with their students. Bring your numbers to a second meeting with the regional Social Studies/History Director(s) and create a full budget for the program(s) together. Then ask the regional Social Studies/History Director(s) which regional foundations or businesses often support their school programs/this type of program. Create a target list together. Most schools don’t have a budget for this type of program or the time to go out and fundraise for you. Don’t let that stop you. Take the lead for funding. Start by meeting with the region’s School Foundation. School foundations sometimes will pay for the whole experience. Hopefully this is your case. You can secure funds from them and you are good to go! Contact the regional foundations and businesses from your target list. Call for an appointment and ask to meet with the director/leader of the school foundation, regional foundations and businesses. Go visit them face to face. NOTE: It is best to meet with the top person rather than go through a chain of staff who do not have decision making power, which can slow down the process tremendously. Sometimes you have to apply for funding through their grant making process. You will go into that process with much more knowledge by meeting face to face with leaders and staff than if you try to apply cold without having talked to anyone from the foundation or business. Staff guidance on how best to apply for funds is invaluable! Foundation’s staff are there to help you. Even if they say “this doesn’t fit what we give money to” …you’ve just saved yourself a world of time and you get to the foundations who say, “Yes, this is something we would be interested in, here’s how to be considered for funding.” This is much quicker process so make that call! Target key partners in the community who can help you pay for the cost of this program. Once the funds are raised, then meet with the regional Social Studies/History Director(s) and create a calendar of what needs to be done when to make it all happen. Set your dates and contact your panelist at least two or three months before the program(s). FINAL NOTE: This film is a perfect way to bring your community together. The experiences I have had doing this have been wonderful. In one community we raised $30,000 from three foundations and all ninth graders were bused to a local indie theater for an experience of a lifetime. It’s all worth the effort. You too will find, there’s nothing like seeing 500 students give a standing ovation to a film!